Learn how to exploit psychology and neuroscience to deliver exceptional interactive designs and experiences. This course is an intensive one-day introduction to how you can exploit what is known about the human brain and its capabilities and limitations in your designs. Using principles honed from years of scientific study from the disciplines of sociology, psychology, perceptual psychology and neuroscience, this course will teach you how to tickle the brains of your customers/users through design and communication. It’s fun, it’s interactive and you’ll meet interesting people to exchange ideas and experiences with. After finishing the course you’ll be able to go back to your desk armed with knowledge (and a few dinner party tricks!) to impress your colleagues and friends. This course teaches the fundamentals of UX, explaining the science and theory behind many of the design principles we rely on today. If you want to improve the impact of your designs, maximise conversions, optimise landing pages, and create effective dashboards and adverts – this is the course for you. This course is aimed mainly at those designing for interactive experiences (websites, mobile sites, apps, etc.) but is also applicable to anyone who would like to improve how they communicate visually (advertising, presentation production, reporting etc.). Thank you! My mind has been widened and I would love to attend more beneficial courses like this with Bunnyfoot in the future. This course was engaging and the science is fascinating. I would recommend it strongly to others and look to attend future courses myself. I enjoyed learning more about how the mind works in relation to how people make decisions. I felt positive about what I do at work and got a lot out of the day. I could see designers, marketers and UX-type people benefitting from taking this course. Small group and great participation. Every individual's questions were answered. Lots of information was covered as well as the take away best practice points. Very happy! Interesting insights that were delivered in an engaging way. Applying it back to web page design made it really relevant. Jon was a great trainer! 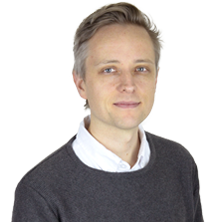 James is an experienced UX consultant who holds an MSc in Human-Centred Systems from City University London. He is a strong advocate of inclusive design and believes empathy drives the best solutions. James comes with a wealth of experience having worked on a wide range of client projects such as EDF Energy, British Library, Kew Gardens and UXUK Award winning work with Beano. Loves cheese. Hates lazy design. 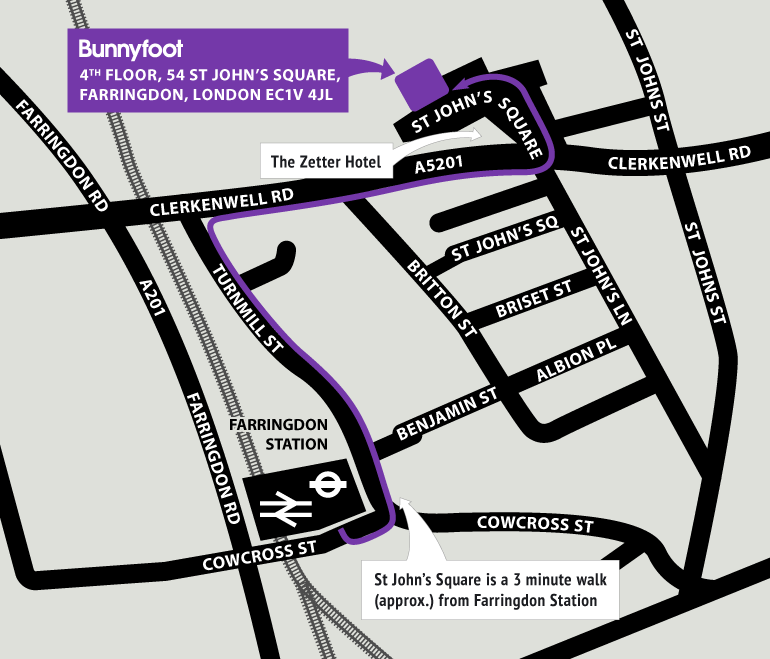 We're based in the heart of Clerkenwell, just a 5-minute walk from Farringdon mainline railway and underground stations.